In the July 23rd issue of The Legal Intelligencer, an American Lawyer Media publication, reporter Gina Passarella writes on the topic of “Deciding whether law firms should have an app for that.” Ms. Passarella quotes me extensively on the use and development of apps in the law firm marketplace. The article discusses a recent app launched by Fox Rothschild family law attorneys Eric Solotoff and Eliana Baer, where they compare the launch of the iPhone-enabled app versus blogging and social media–as marketing tools. Another app example highlighted is that of West Virginia-based Spilman Thomas & Battle for labor & employment, and Cleveland-based Benesch Friedlander‘s recruiting app. Some of the “original” law firm-launched apps include those from Delaware’s Potter Anderson and multiple apps from Morrison & Foerster. 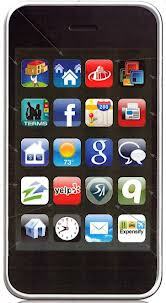 I will discuss the use and development of law firm apps in my August 2013 Web Marketing Today column. Every firm wants one now…it is a matter of whether it makes sense. But most importantly, do you have an app concept that truly benefits your target audience? Most think it is just cool. And it is. But it needs to make sense for the firm and the practice. Otherwise, use the money for a fancy lunch–and get something in return for the expenditure.